In this game each of the Hydra’s controllers allows the player to move, rotate and fire a pistol at various targets. 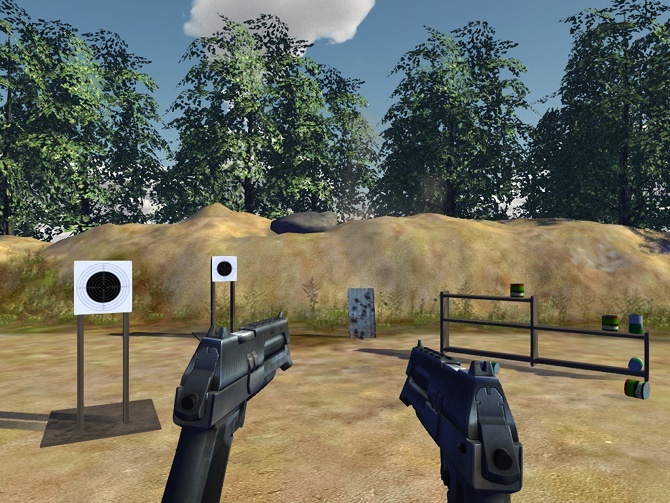 This demo game also offers a unique calibration scheme to make it feel that your hands are actually controlling the pistols in game. The Hydra Ryder demo game is available for download and play with a Razer Hydra controller. You may find out more at GarageGames.